Major Lazer is all set to give back in a major way. Today (June 7), the collective and Bacardi announce their Music Liberates Music program, an initiative designed to support the island music that inspires them by donating studio time to emerging artists from the Caribbean. Here’s how it works. 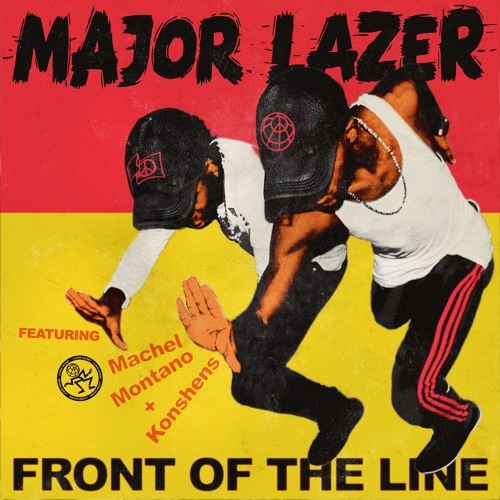 For each time Major Lazer’s new Machel Montano and Konshens-assisted single “Front of the Line” is streamed on Spotify, Bacardi will donate some much-needed studio time to aspiring Caribbean artists. Bacardi and Major Lazer’s new initiative is the product of their ongoing “Sound of Rum” creative partnership they began back in January. Emerging from the similarly island-inspired vibes both Major Lazer and Bacardi aim to pepetuate, the Sound of Rum creative partnership aims to blend elements of reggae, dancehall, hip-hop and electronic music to encourage collaboration between people of different genres. The Music Liberates Music program aims to shed light on all of the best and brightest up-and-comers from the Caribbean, and Major Lazer and Bacardi are encouraging fans to support the initiative.